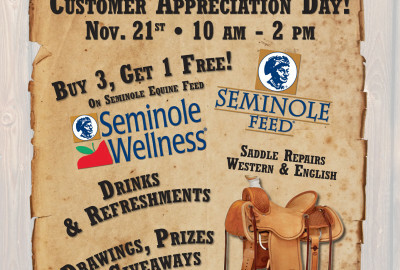 Western Stampede is your hometown Feed Store. 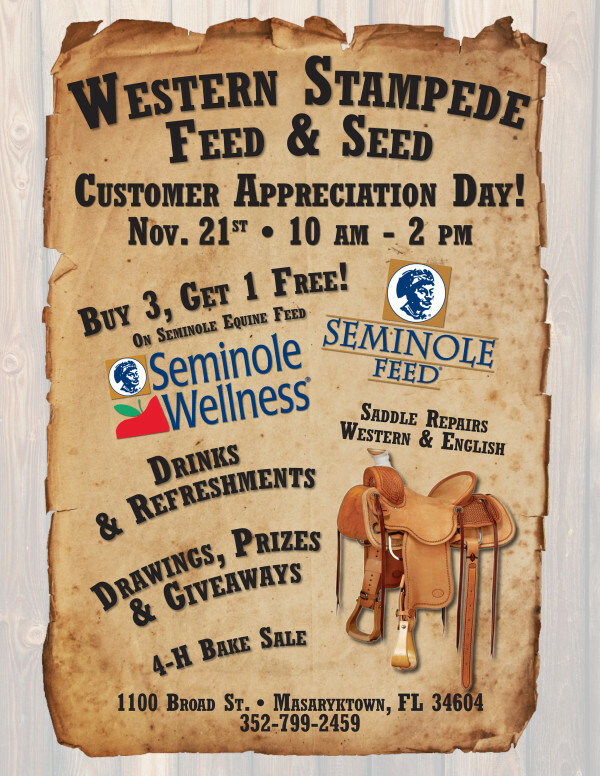 We specialize in quality products such as Seminole and Buckeye Equine Feeds, Quality Hay, Pet Foods by Seminole, Black Gold and Timberwolf, and Pidgeon Feed by Wheatland, to name a few. Everyone at Western Stampede is an animal owner and lover. Many of us, including Ray, are horse owners as well. 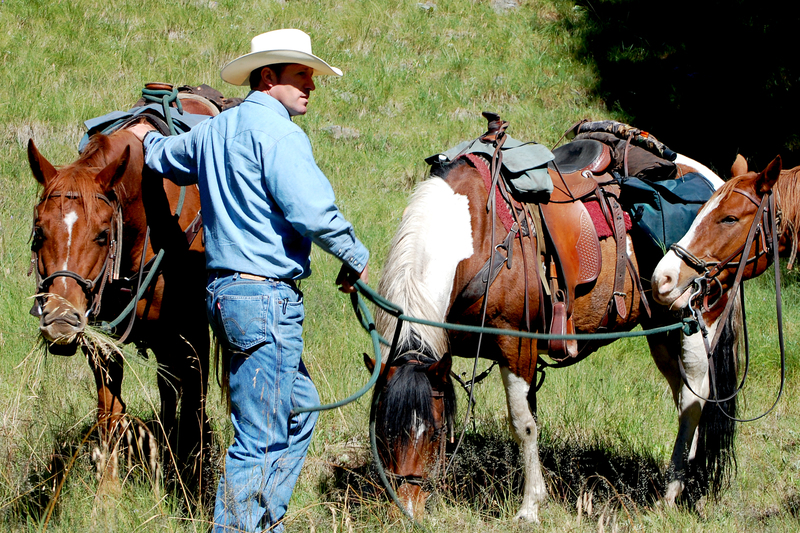 Nobody knows better how to take care of a horse than someone who has been in the business of caring for their own horses for decades. Ask us any question, and you can be sure we either know the answer or know where to find it. Whether it’s supplements or shampoo, leather soap or muck tubs, we have a wide selection of what you need, when you need it. We also pride ourselves on our fair prices. Just because we’re the only full stock feed and tack store for miles doesn’t mean you should pay more for what you need every day. We have moved our leather working area right up to the front of the store so that you can see what we do as we are doing it. 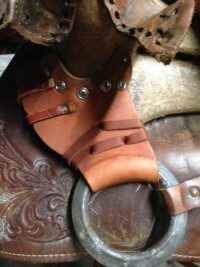 From creating new, custom bridles, to repairing Western, Dressage and even treeless saddles, you can count on Western Stampede to do a quality job on your next leather project. How To Detox With Diatomaceous Earth For Humans. Diatomaceous earth is a very useful and natural ingredient that is used to detoxify the body to get rid of the bacteria living within the body. It is a sedimentary mineral rock that is naturally formed by the fossilized remains of diatoms, planktons or tiny aquatic organisms. 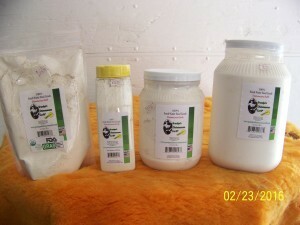 This dusty talc-like material is available in different forms and is used for various purposes. But the most widely used one is the freshwater Diatomaceous earth and is the only type that can be consumed or eaten by humans. Diatomaceous earth for human use is a very common practice to detoxify the body from the bacteria that invades the body. They are used as a pesticide to keep the pests away from the crops. Naturally a little amount of this dust enters the body. However, in order to get the complete impact and benefit of this natural dust, the humans need to consume it in a proportionate measurement. Though it does not have any harmful or harsh impact if the measurement is imbalanced. If you need to detox the body, you have to consume the food grade Diatomaceous earth. There are different concepts regarding how this dust works. But the most prominent and accepted view is that this dust has a negative charge, and the bacteria inside the human body have a positive charge. When you consume the Diatomaceous earth for human use, it will trap the bacteria into its skeletal system that is honeycomb-shaped. Food grade Diatomaceous earth is 89% amorphous silica. As it has no particular measurement, people can consume it as they prefer. Usually, a heaped teaspoon of this dust is consumed with a glass of water, twice daily, morning and night and in time to a tablespoon twice daily. The strong negative charge of this dust travels through the digestive system and absorbs the fungi, bacteria, viruses, protozoa, pesticide, endotoxins, E-Coli, drug residues and heavy metals. Thus, it offers a proper detox to the human body. Since these toxic elements are positive in charge, they are easily trapped into this DE system. Upon regular consumption of Diatomaceous earth for human use, a little amount of the DE will be absorbed by the body into the bloodstream, and it will detox the body regularly. If the toxic elements are larger, it gets cut up by the sharp edge of this dust. However, when you consume this dust, make sure that you check the label of the product and its direction of use. Flea Control Get Rid of them Naturally!!! How Does Grandpa’s Diatomaceous Earth® Work? How does it help flea control? To us, as humans is a very fine powder but on a microscopic level it is sharp, this is how it works. once a flea come in contact with it, Diatomaceous Earth begins to make little cuts into the flea, causing it to dehydrate and die, unlike other products, Grandpa’s Diatomaceous earth® does not poison the fleas, so the fleas never can become immune to this flea control process. Diatomaceous Earth, will need to be in its dry powder state to be most effective for flea control, we would not really recommend applying to your animal if they have damp fur because of a bath, diatomaceous earth will then turn more into a mud and not be able to catch on to the fleas, as well as it can dry. so if you apply it to your pet, and you give them a bath or they play in some water you will need to reapply diatomaceous earth when their fur is dry. How long will it take to kill them? using Grandpas Diatomaceous Earth® for flea control, there has been some research done showing it takes 4 to 12 hours to kill a flea when coming in contact with diatomaceous earth, we recommend when you do a treatment, you leave it for 24 hours at a time, just ensuring you get as many fleas at one time as possible. Before anything, make sure you are using food grade Diatomaceous Earth! any other types can be harmful and will not work for flea control. so if the bag does not say food grade, don’t use it. All of Grandpas Diatomaceous Earth® is food grade and you can trust it. The best way we have found to make the applying for flea control easier is by using one of our E-Z Fill Dispenser’s. If you have respiratory / breathing problems when air is dusty, you may consider wearing a dust mask while spreading Diatomaceous earth around, it could get pretty dusty. Due to the fact that fleas eggs hatch about a week from when they were laid, for full flea control you will want to do applications twice within the first week (recommended). then once a week for 3 weeks following. Most people notice a majority of fleas are gone by the end of week 2, we recommend to stick it out for another 2 weeks to avoid a reinfestation. you can use this same flea control process with the wide verity of household pets we are just going to use a dog for this demonstration. Okay, you will want to take it slow the first time, to avoid wasting the diatomaceous earth. Start at the tail of you dog. Dust your entire dog, not just their back. Avoid getting Diatomaceous Earth in their ears and eyes, only because it is a very fine powder and could cause some irritation. Use a broom to loosen up your carpet by moving it in small circular motions. This makes it possible for the Diatomaceous Earth to get deep into your carpet. Apply a light layer of Diatomaceous Earth on your carpeted areas. Also, apply to your pets bedding. You will only ever need to treat your yard 2 maybe 3 times during the flea control process. You will want to use the large E-Z Fill Dispenser or use a regular drinking glass. Spread the Diatomaceous Earth evenly as possible across your lawn. As long as the Diatomaceous Earth doesn’t get significantly wet or get rained on, it will remain able to work against fleas. apply more heavily in very dry sandy areas. We really hope this helps with flea control! share it with friends on facebook to keep spreading the word about this great product and don’t be afraid to ask questions we love hearing from you! Osteoporosis is a symptom of the aging process. As calcium in our body system leaches, our bones become brittle and weak. Taking only a calcium supplement cannot correct or stop this threatening and crippling disease because the body cannot assimilate and make use of the calcium without the presence of silica. Silica can stop arthritis pain and even restore the body’s self-repair process. For purposes of healing damaged bones, it is recommended that a sufficient silica supplement be taken daily. Silica is responsible for the depositing of minerals into the bones, especially calcium. It speeds up the healing of fractures and also reduces scarring at the site of a fracture. Ant’s can be a very difficult problem to fix, but we have been told by many of our costumers that they have found success using Grandpas Diatomaceous Earth® to help them get rid of ants in their home. SPECIAL INGREDIENTS dac® Electro Aid provides a balanced profile of electrolytes for all mature horses. Electrolytes are electrically charged salts or ‘ions’ such as sodium, chloride, potassium, magnesium and calcium which are dissolved and carried in the blood and cell fluids. As salts dissolve in the blood and tissues of the body, electrolytes assist in preserving the correct balance of fluids both inside and outside the cells. Electrolytes also function in the generation of nerve impulses, contraction and relaxation of muscles, the beating of the heart and processing of wastes, in fact electrolytes are involved in virtually every function of the body. An electrolyte imbalance may cause such complications as dehydration, muscle fatigue, reduced stamina, overheating, and tying-up. It is therefore essential that electrolyte supplementation occurs as part of your daily nutritional management practices. Sodium and Chloride: Common salt (NaCl), which is composed of two ions, sodium (Na+) and chloride (Cl-). These are the major electrolytes of the body. Potassium: One of potassium’s major roles is to maintain and ensure correct cellular osmotic pressure which affects the sensitivity of nerves and muscles to impulses. Horses suffering from a lack of potassium are prone to fatigue, muscle weakness, exercise intolerance, tying-up and decreased water intake. Magnesium: Magnesium plays a critical role as a co-factor in over 300 enzymatic reactions within the body. Magnesium is also required for muscle function. Calcium: Deficiencies of calcium in its ionic form may lead to muscle weakness and conditions such as tying-up. Bio-available Trace Minerals – or chelated minerals are those that have been bonded to two or more amino acids. A mineral in this chelated state allows easy passage through the intestinal wall into the blood resulting in increased metabolism of that mineral. dac® Electro Aid utilizes organic minerals to increase availability and enhance absorption rates. FEEDING DIRECTIONS dac® Electro Aid can be fed to all classes of mature horses. 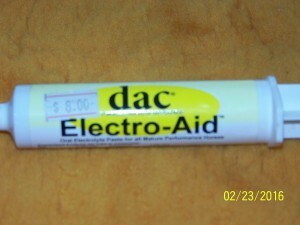 The intake of dac® Electro Aid is based on work intensity and the amount of sweat lost from the body. dac® Electro Aid can be fed with either fortified or unfortified grains. Fortified grains contain added vitamins and minerals. Feed dac® Electro Aid at the following rates: Maintenance (limited or no riding) – 1 ounce (1 scoop) per horse per day. Light Exercise – 2 ounces (2 scoops) per horse per day. Moderate Exercise – 3 ounces (3 scoops) per horse per day. Intense Exercise – 4 ounces (4 scoops) per horse per day. SPECIAL INGREDIENTS dac® Racing Formula provides a balanced vitamin and mineral profile for high performance horses & elite equine athletes. Vitamins & minerals play a critical role in numerous metabolic functions including: nerve function, immune function, hoof, and coat quality as well as energy balance. 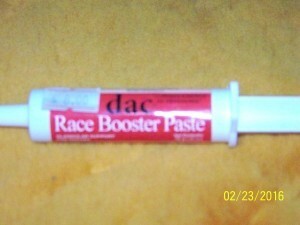 dac® Racing Formula is enhanced with Probiotics. Organic Selenium - Selenium is an essential nutrient that plays a critical role in metabolism, healthy growth, reproductive health, and immunity. It also acts as a powerful antioxidant to prevent fatty acid oxidation which can cause tissue damage. Research has shown that Sel-Plex®, an organic form of selenium, is more readily absorbed and retained than selenium in inorganic forms. Sel‐Plex® is the ONLY organic selenium to be reviewed by the FDA (Food and Drug Administration). Vitamin E – is a potent antioxidant during strenuous exercise. Horses with an inadequate reserve of antioxidants might experience muscle soreness or stiffness during an exercise bout and prolonged recovery following hard work. Bio-available Trace Minerals – or chelated minerals are those that have been bonded to two or more amino acids. A mineral in this chelated state allows easy passage through the intestinal wall into the blood resulting in increased metabolism of that mineral. dac® Racing Formula utilizes organic minerals to increase availability and enhance absorption rates. Iron – plays a critical role in oxygen transport and cellular respiration. Iron makes up the center of hemoglobin, which is the oxygen transport molecule in blood. 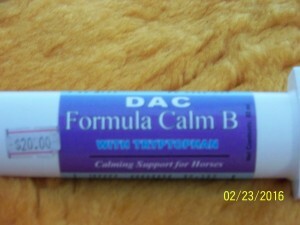 It is also present in myoglobin, which helps get oxygen into your horse's muscles. Biotin - Biotin is a water soluble B- Vitamin. A number of research trials have concluded that providing 20mg of biotin per day will result in significant improvements to hoof quality in a period between 6 and 12 months. Probiotics – are live microorganisms (including beneficial strains of bacteria) thought to be beneficial to the horse. These natural additives help maintain the correct balance of microflora in the small intestine and cecum to help bypass nutrients be completely digested in the gut. FEEDING DIRECTIONS dac® Racing Formula can be fed with either fortified or unfortified grains. Fortified grains contain added vitamins and minerals and require a lower feeding rate of dac® Racing Formula. Feed dac® Racing Formula at the following rates: Horses In Training: 2 scoops (2 ounces) per horse per day if fed with unfortified grains. Consult an equine nutritionist or dac® if feeding with fortified grain. 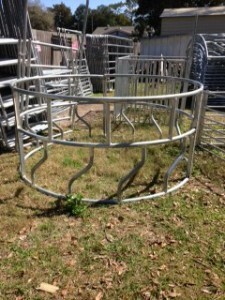 Feeding rate based on 1000 lb horse. Guaranteed Analysis Calcium (max): 13% (3688 mg) Calcium (min): 11% (3121 mg) Copper (min): 700 ppm (19.8 mg) Crude Fat (min): 6% (1700 mg) Crude Fiber (max): 15% (4250 mg) Crude Protein (min): 14% (3972 mg) Iron (min): 4700 ppm (133.5 mg) Manganese (min): 2100 ppm (59.6 mg) Phosphorus (min): 4% (1135 mg) Selenium (min): 40 ppm (1.1 mg) Zinc (min): 3750 ppm (106.5 mg) Ingredients Soybean meal, alfalfa meal, corn oil, dry whey product calcium carbonate, monosodium phosphate, , potassium chloride, choline chloride, zinc proteinate, manganese proteinate, copper proteinate, cobalt proteinate, iron proteinate, selenium yeast, vitamin E supplement, vitamin A supplement, vitamin D3 supplement, menadione sodium bisulfate complex (source of vitamin K activity), zinc sulfate, magnesium oxide, ferrous sulfate, selenium yeast, manganese sulfate, cobalt sulfate, biotin, vitamin B-12 supplement, folic acid, niacin supplement, calcium pantothenate, riboflavin supplement, ascorbic acid, thiamine hydrochloride, pyridoxine hydrochloride, ethylenediamine dihydroiodid, dried Lactobacillus acidophilus fermentation product, dried Enterococcus faecium fermentation product, dextrose, and sodium aluminosilicate. SPECIAL INGREDIENTS dac® Colt Grower provides a balanced vitamin and mineral profile for young, growing horses. Vitamins and minerals play a critical role in numerous metabolic functions including: reproduction, bone development, nerve function, immune function, hoof, skin and coat quality as well as energy balance. 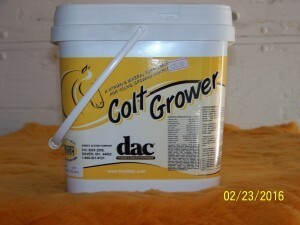 dac® Colt Grower is enhanced with Probiotics. Yea Sacc®1026 - is a live yeast culture derived from the specific yeast strain Saccharomyces cerevisiae 1026. Yea Sacc®1026 increases fiber, phosphorus and calcium digestibility, and increases gross energy, total lipids and amino acid absorption. Yea Sacc®1026 Improves milk availability to foals if administered for 3-4 weeks before and throughout the lactation period. Amino Acids - In young horses Lysine is considered the first limiting amino acid and is the most important factor affecting growth. Methionine another essential amino acid is also important for proper growth and development of muscle tissue in young foals. Organic Selenium - Selenium is an essential nutrient that plays a critical role in metabolism, healthy growth, reproductive health, and immunity. It also acts as a powerful antioxidant to prevent fatty acid oxidation which can cause tissue damage. Research has shown that Sel-Plex®, an organic form of selenium, is more readily absorbed and retained than selenium in inorganic forms. Sel‐Plex® is the ONLY organic selenium to be reviewed by the FDA (Food and Drug Administration). Bio-available Minerals - or chelated minerals are those that have been bonded to two or more amino acids. A mineral in this chelated state allows easy passage through the intestinal wall into the blood resulting in increased metabolism of that mineral. dac® Colt Grower utilizes organic minerals to increase availability and enhance absorption rates. Probiotics - These natural additives help maintain the correct balance of microflora in the small intestine and cecum to help bypass nutrients be completely digested in the gut. FEEDING DIRECTIONS dac® Colt Grower can be fed with either fortified or unfortified grains. Fortified grains contain added vitamins and minerals and require a lower feeding rate of dac® Colt Grower. Feed dac® Colt Grower at the following rates: Young, growing horses (3-12 months of age): Feed 2 scoops (2 ounces) per horse per day if fed with unfortified grains. Yearlings (up to 2 years of age): Feed 3 scoops (3 ounces) per horse per day if fed with unfortified grains. Consult an equine nutritionist or dac® if feeding with fortified grain. GUARANTEED ANALYSIS Calcium (max): 16% (4,540 mg) Calcium (min): 14% (3,970 mg) Copper (min): 700 ppm (19.5 mg) Iodine (min): 24 ppm (0.68 mg) Lysine (min): 0.7% (210 mg) Manganese (min): 2825 ppm (80 mg) Phosphorus (min): 6% (1,700 mg) Selenium (min): 7.5 ppm (0.21 mg) Vitamin A (min): 60,000 IU/LB (3,700 IU) Vitamin D (min): 25,000 IU/LB (1500 IU) Vitamin E (min): 2,500 IU/LB (125 IU) Zinc (min): 2825 ppm (80 mg) Ingredients Calcium carbonate, calcium phosphate, soybean meal, yeast culture, distillers dried grains with solubles, dry whey product, corn oil, potassium chloride, salt, zinc proteinate, manganese proteinate, copper proteinate, cobalt proteinate, vitamin E supplement, choline chloride, dried Lactobacillus acidophilus fermentation product, dried Enterococcus faecium fermentation product, dextrose, sodium aluminosilicate, manganese sulfate, L-lysine, zinc sulfate, magnesium oxide, vitamin A supplement, ferrous sulfate, selenium yeast, brewers dried yeast, DL methionine, iron proteinate, copper sulfate, vitamin D3 supplement, folic acid, niacin supplement, menadione sodium bisulfate complex (source of vitamin K activity), biotin, thiamine hydrochloride, vitamin B-12 supplement, calcium pantothenate, ribofl avin supplement, cobalt sulfate, ethylenediamine dihydroiodide, pyridoxine hydrochloride, and natural and artificial flavor. 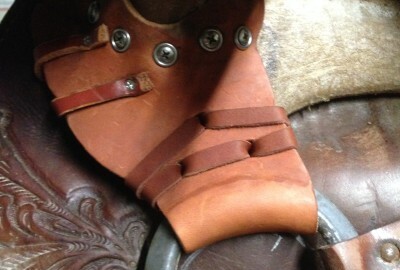 I would .like to send out a BIG Thanks to all that came out for Ranch Sorting yesterday at PHA. It was a HOT one but cows were great. Thank you Jerry Byfield for announcing and Thanks to Randy for the great cows. Thanks for all the VOLUNTEERS from PHA could not do this without you. 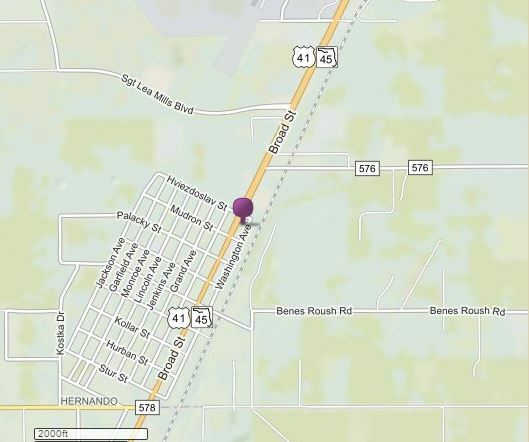 For more information, please stop by the store or contact us. We will be more than happy to check stock for you and save you the drive. Odds are, if you regularly buy from us, you know we already have what you need.